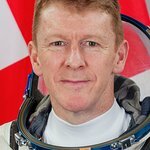 European Space Agency Astronaut and Prince's Trust Ambassador Tim Peake has donated £250,000 to help the Prince’s Trust continue changing young lives, as a result of sales through his best-selling book ‘Hello, is this planet Earth?’, published last November. Tim also confirmed that he will be releasing a new book in the autumn entitled ‘Ask an Astronaut’ and, as with his previous book, any royalties received will be donated to The Prince’s Trust. The cheque was presented to Tara Leathers, Director of Fundraising at The Prince’s Trust, during the Penguin Random House conference at The Barbican, London. ‘Hello, is this planet Earth?’, published by Penguin Random House, was a Sunday Times Number 1 Bestseller and the fastest selling popular science book since records began. It takes readers on a mesmerising tour of Tim’s historic and inspirational six-month Principia mission, based on over 150 of Tim’s stunning photographs that he took on board the International Space Station. Tim Peake became an Ambassador in 2015, just before he went to space and the Principia mission started, and he’s continuing to highlight their work to help more young people acquire STEM skills. While in space, he also took on the Digital Virgin Money London Marathon challenge, running 26-miles on a treadmill to raise awareness of what the Trust does.